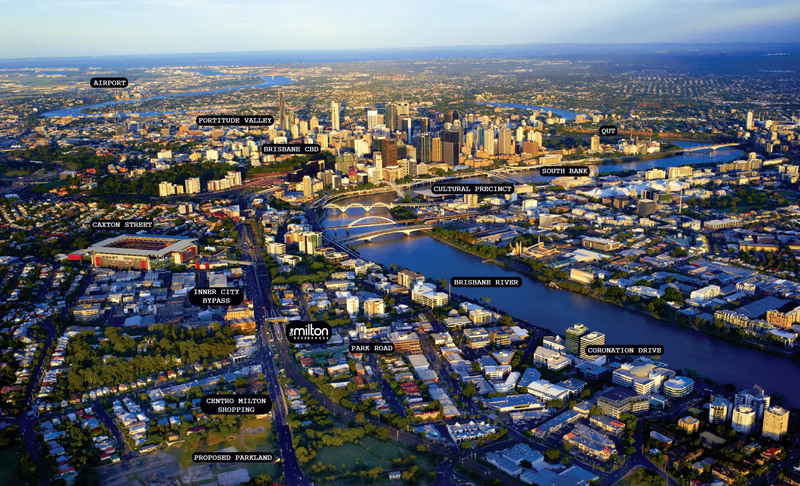 Located 1.5km from the Brisbane CBD, The Milton is situated within an exclusive Blue Chip suburb. 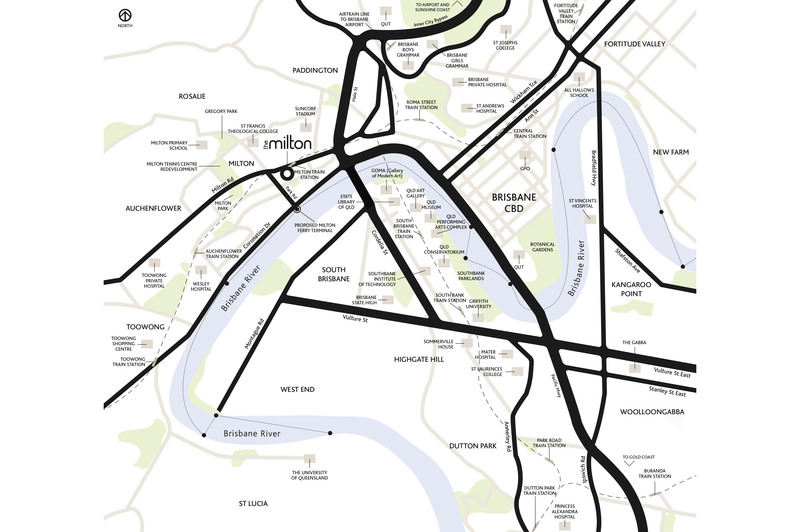 Just 4 mins via the train to the CBD, residents are also near the newly opened Milton CityCat Terminal and direct access to Coronation Drive, Riverside Expressway and the Inner City Bypass. With nearby walkways, schools, hospitals and the Park Road restaurant precinct, The Milton's inner city location is unsurpassed.